The Kerrang! Tour breaks new bands and celebrates scene leaders with a touring multi-band bill that travels up and down the country bringing metal to the masses. For 2016's annual jaunt pop punks Sum 41 will head the bill. After selling over 12 million albums worldwide and pumping out high octane hits such as 'Fat Lip', 'In Too Deep' and 'Motivation' 2016 marks the bands 20th anniversary. 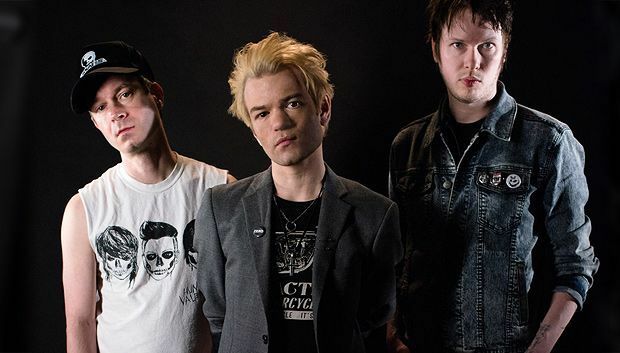 These will be Sum 41's first British shows after frontman Deryck Whibley's much publicised battles with alcohol. 'We’re really excited to be back on tour. After a three-year break, we're honoured that our first tour back is the Kerrang! Tour 2016 in the UK,' explains Whibley. 'Kerrang! is ridiculously excited to welcome punk-pop legends Sum 41 onto the bill of our iconic yearly tour. They're a band who've grown through the pages of the magazine since the very beginning, us being there through the ups and the downs, us being the magazine that's always backed them, all the way – and so it's extremely exciting to be joining them again on the most recent instalment within their incredible adventure,' adds Kerrang! Editor James McMahon. Full supporting lineup still to be announced. Tickets on presale 2 Oct; general sale 5 Oct.
Kerrang's regular music tour is headlined this year by The Amity Affliction, with Casey, Vukovi and Boston Manor also on the bill.